With the signature scent many of us can recognize a mile away, Cinnabon has turned into the ultimate treat indulgence. 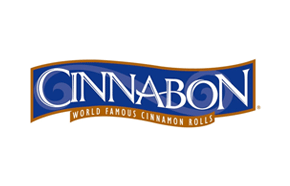 With their classic cinnamon rolls with their trademark sour cream frosting, Cinnabon now has treats adding pecans and chocolate, and even bakery cupcakes and cinnamon sticks. You can even get an iced lemonade to go with your dream dessert- and even gift cards for the diehards- anyone will be happy at the prospect of a warm Cinnabon treat.